I know that everyone is excited about the Wii U, the next generation Playstation and Xbox, and possibly the 3DS, but I think that the older systems still deserve a little love. Not just the Wii, PS3, and Xbox 360, but some of the real veterans. The GameCube was a personal favorite of mine for many reasons. One of them just so happens to be the feature of this article. 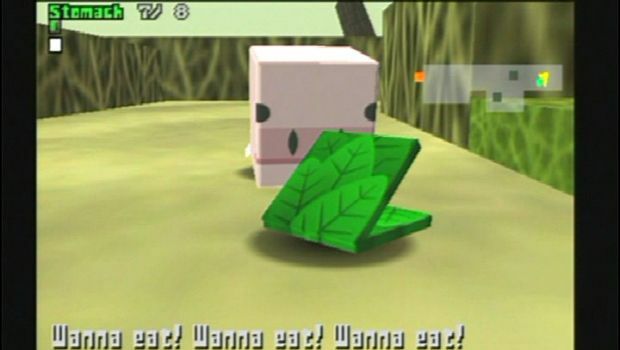 Cubivore is a game that a lot of you may not have heard of. This is unfortunate because when unique games such as this one go overlooked, we get a stream of cookie cutter games that get approval due to their safety in the market. Well, we are lucky to have the used game industry which helps people get a chance to experience gems like Cubivore that have been lost to time. Watch out for these deadly beasts. Saying that Cubivore is a unique game would be an understatement. Although short, the game gives you a very strange experience that is sure to leave an impression on you. The story follows the quest of your beast with the goal of mutating, mating, and becoming more powerful with the goal of taking back the land from corruption. The goal seems pretty standard, but the execution is what sets this game apart from the others. 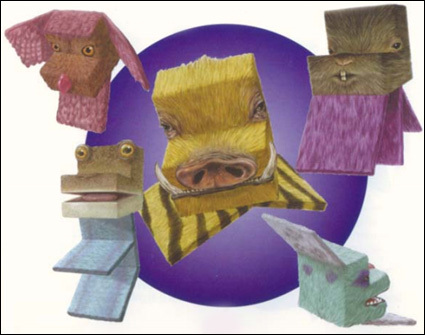 These were the cubes before Minecraft. However, these cubes are hungry and the only way to get stronger is by eating your opponents and mating in order to produce offspring that will take over for you at the beginning of each new level. The gameplay itself is pretty simple. You lock on to targets and pounce at them until their health reaches zero. Then you eat their body parts and mutate into new forms. Although I enjoyed the simplistic style of the game, there are quite a few issues with the combat mechanics. The camera angles are not always forgiving and if your opponent is stuck against a wall it can be almost impossible to touch them. That being said, the issues are at least consistent enough for you to get used to them. The graphics aren’t bad for the time and you shouldn’t really expect jaw dropping graphics from a cube game. The animal sounds are pretty nice, but I would have liked some sort of vocal dialogue. One could say that there was a lock of voices due to the fact that you are playing as an animal, but the constant grunts and squeaks can make uneventful cut scenes pretty boring when you can’t skip them. Overall, the game is short and simple so it is meant for a casual play through. You can finish this game in an afternoon or so and the customization, although vast in terms of combinations, only serves to fit a players specialized style. The main forms all specialize in one trait be it speed or attack ands you can’t really combine those specialties too much. However, I found this one trick pony kind of customization to be very helpful once I realized what kind of hunter I wanted to be. Honestly, the somewhat critical overview was to explain the issues that the big time reviewers had with this game. Personally, I found Cubivore to be very entertaining. Simplicity isn’t always a bad thing because if every game I played was a fifty plus hour RPG, then I would never get to play half of the things that I wanted to. Sometimes we need those games that give you one way to fight and say go. I believe that is part of the reason why mobile apps have become so popular with people today. Unfortunately, when you pick up a Nintendo system, you often get it for Mario, Zelda, and so on which will leave the third-party games sitting on the shelves. Cubivore gives us an experience that leaves you scratching your head in a good way which is something that I think we have come to expect from Atlus. The unique story and fun gameplay make for an experience that I think anyone that would visit the site should try out. I loved this game. It may not have had the best of reviews, but neither do Pokemon or Dynasty Warriors games and we all know how much fun those are. I would love to tell you to go out and buy a copy of this game for the experience, but I am kind of against that at this point. If you can find the holy grail that is a copy of this game at a GameStop, then the $12.99 price tag is more than fair. However, Amazon wants $55.99 for a used copy and prices go up from there. The game simply is not worth that. I originally bought Cubivore for $29.99 and I am only alright with that because I really enjoy playing it. Anything more than $20.00 is asking way too much for a GameCube game like this. I know that the game is no longer in production, and that the market value speaks volumes to its popularity, but don’t pay $55.99 for such a short game. I am apprehensive about paying $30.00 for the new Call of Duty games when the price finally drops. Try to find a friend that might have it. I shouldn’t tell you to try out one of those fancy GameCube emulators, but let’s not pretend like they don’t exist. Happy hunting.